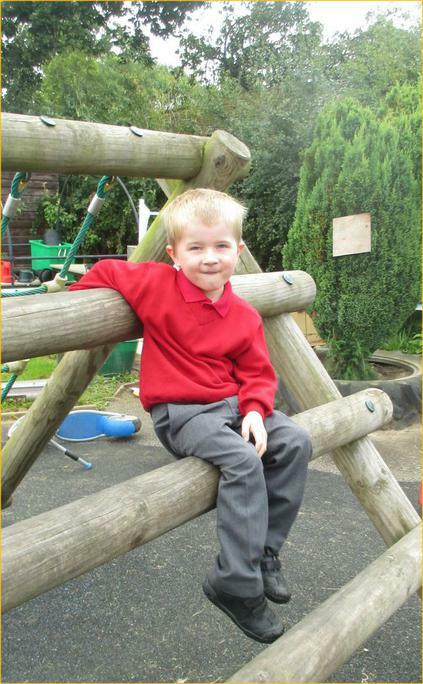 Hello and welcome to our special page for Early Years Foundation Stage. We are really lucky to have a big and bright classroom with lots of different areas to explore! We have a cosy book corner with a new reading tent for the children relax in and a special writing & craft area to help the children become confident and imaginative writers. There is also a brilliantly resourced maths area, and an exciting role play area, as well as lots of other inviting areas for us to learn in! These areas will change as our topics and the children's interests develop. 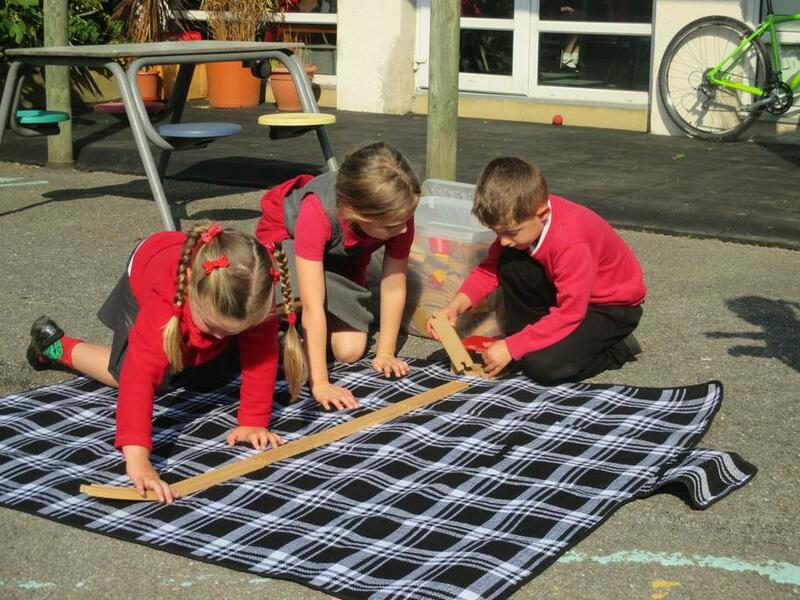 We also have a large, lovely outside area so we can learn outside as well as inside. 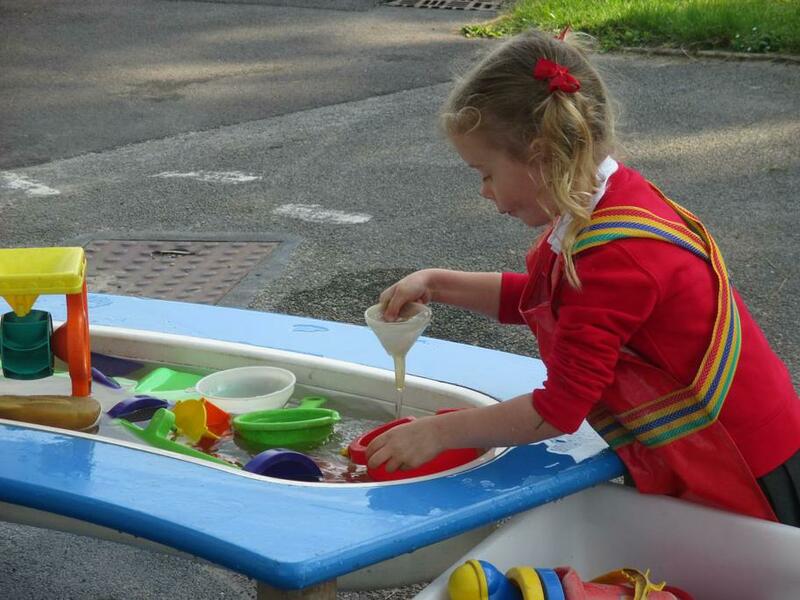 Our children particularly enjoy baking in our Tansley Mud Kitchen. 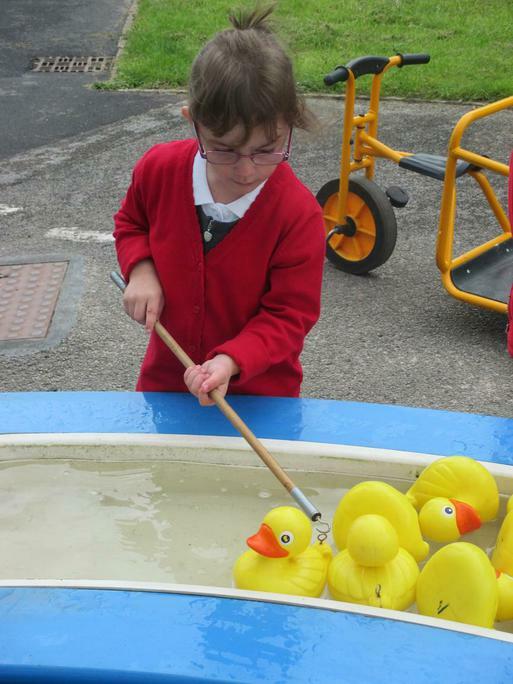 The children have lots of fun learning through play! 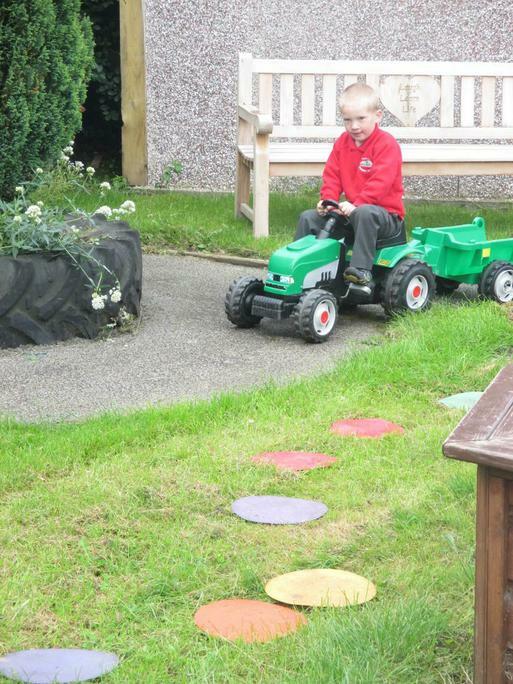 During the year we hold workshops to support parents and carers in helping their child at home. Details of these will be given out nearer the time. Last Year I held a successful phonics workshop which showed you how to support your child in learning phonics, as well as an Early Reading and Handwriting support meeting too. There are lots of things you can do to help your child. We don't have formal homework in Reception but below are some ideas of what you can do which are quick and easy and will help your child consolidate skills we have taught in school. If you would like any help or support please ask any member of EYFS staff. We would be more than happy to help with ideas! Your child has a reading book and reading record, a set of high frequency words to learn, as well as termly reading targets. Please practise these for 5 - 10 minutes every night if possible. We will hear your child read every week in school and will practise letter sounds and high frequency words in our daily phonics session. Encourage your child to write their names on invitations and cards reminding them to have a capital letter at the beginning! As they learn their letter sounds help them practise writing them using the correct letter formation. 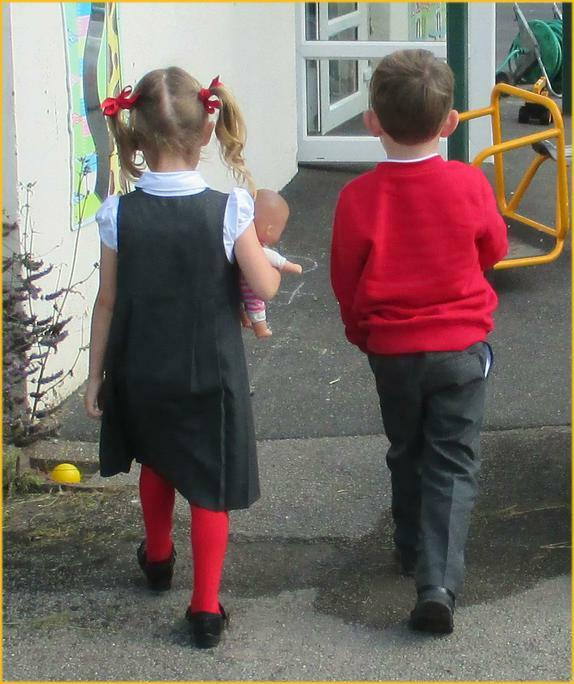 At Tansley Primary School our EYFS is part of our Oaks class alongside the Year 1 children. Please take some time to explore our Oaks class pages on the website too for more photos and information about the exciting learning that takes place in our class. Make sure you scroll down to the bottom of this page too for loads more photos! Click on the link below to go to our curriculum page of our Tansley website which explains a little bit more about the EYFS. It also has some great links to some fun websites to play with your child at home. The ‘Fundamental British Values of Democracy’, ‘The Rule of Law, Individual Liberty and Mutual Respect’ and ‘Tolerance of Different Faiths and Beliefs’ are already embedded in the EYFS curriculum and practice. Click on the link to see some of the ways we show how British Values are actively promoted within the Early Years here at Tansley. We enjoy malleable play, this was cinnamon dough! Lots more photos. We just have so much fun learning in Oaks! Exploring our shadows at playtime! Who can make the longest shadow?